Sweet Briar’s closest downhill skiing destination is Wintergreen Resort, about 45 minutes from campus. Wintergreen offers beginner, intermediate and advanced slopes along with rental equipment and lessons. 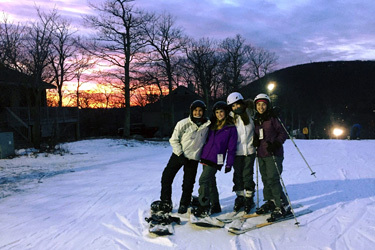 Sweet Briar Outdoors runs weekly trips to Wintergreen in the winter. Other resorts in the area include Snowshoe Mountain, Winterplace and The Homestead.